Get a year’s unlimited access to over 80 parks and reserves with the Wild Card, your passport to exploring the premier conservation areas in Southern Africa. Just take a look at all the parks and reserves in the Wild Programme. Already a member? Renew now. 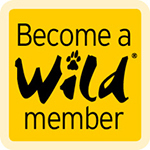 Wild Card membership gives you one year’s unlimited access to the Wild partner parks, reserves and resorts, depending on the type of cluster you choose. Membership is available for an individual, couple or family, while foreign visitors can get International Wild Card membership. Learn more about the Wild Card types and pricing. Do you love the wild beaches of the West Coast or the sandy shores along the Indian Ocean? Are you drawn to the rugged peaks of the Drakensberg or the open plains of the Karoo? Are you a fan of savanna or do you prefer to walk among fynbos? Learn more about the spectacular places protected by our partners: SANParks, CapeNature, Ezemvelo KZN Wildlife, Msinsi, and Big Game Parks of Swaziland. The Wild Card is the most convenient and cost-effective way to visit national parks and nature reserves in South Africa and Swaziland. Purchase annual membership and you won’t have to pay entry fees (conservation fees) every time you visit participating parks and reserves. Membership is valid for 365 days from date of purchase. 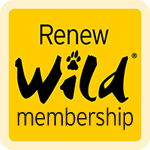 You can buy or renew membership online, as well as at certain park/reserve gates and receptions. If you intend to buy at a park, please confirm in advance if your destination currently sells membership. If you buy membership online, you will immediately receive a confirmation letter. You can use this letter, along with valid proof of identification, to visit parks and reserves until you receive your Wild Card by registered mail. If you buy membership at a park, you will receive a receipt, followed by a confirmation letter (sent by email). You can use these documents, along with valid ID, to visit parks (valid for 30 days). Important! After purchasing at a park, you have to complete the application online within 30 days to have your card sent to you.